Our winter whale watching tour departs from the heart of the city, Reykjavik's Old Harbour, at 13:00 on the big and family friendly Andrea. 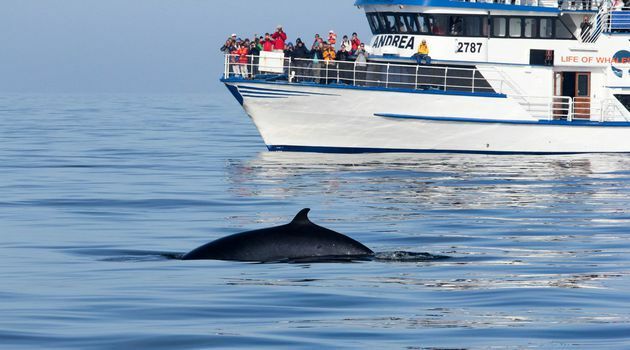 The Andrea has an interactive and educational focus on-board so you will get a good chance to know more about these amazing animals that live in the ocean. 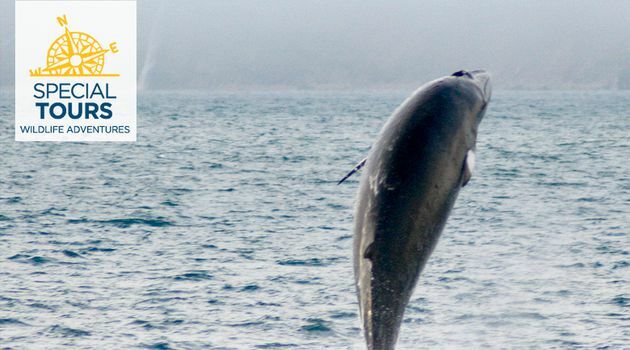 During the tour you are likely to see different species such as White Beaked Dolphins, Harbor Porpoises and even some Minke Whales and Humpback Whales. You will depart from Reykjavík at 18:00 (pick-up begins 30 minutes prior to departure) with Reykjavik Excursions for the warm and cosy Fontana geothermal baths where you can relax after a day out at sea. After dining on local cuisine at Fontana we then head out in search of the northern lights. 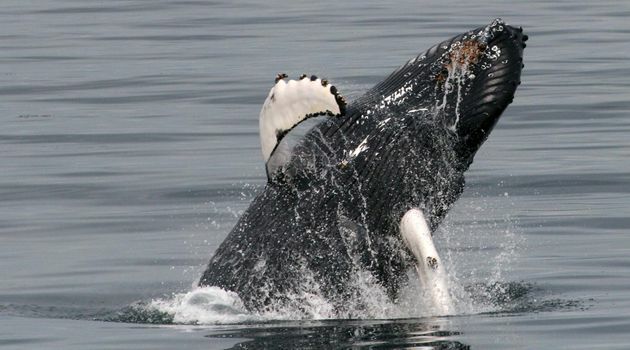 We recommend warm clothes for the whale watching tour! Swimsuits & towels can be rented at Fontana Wellness.